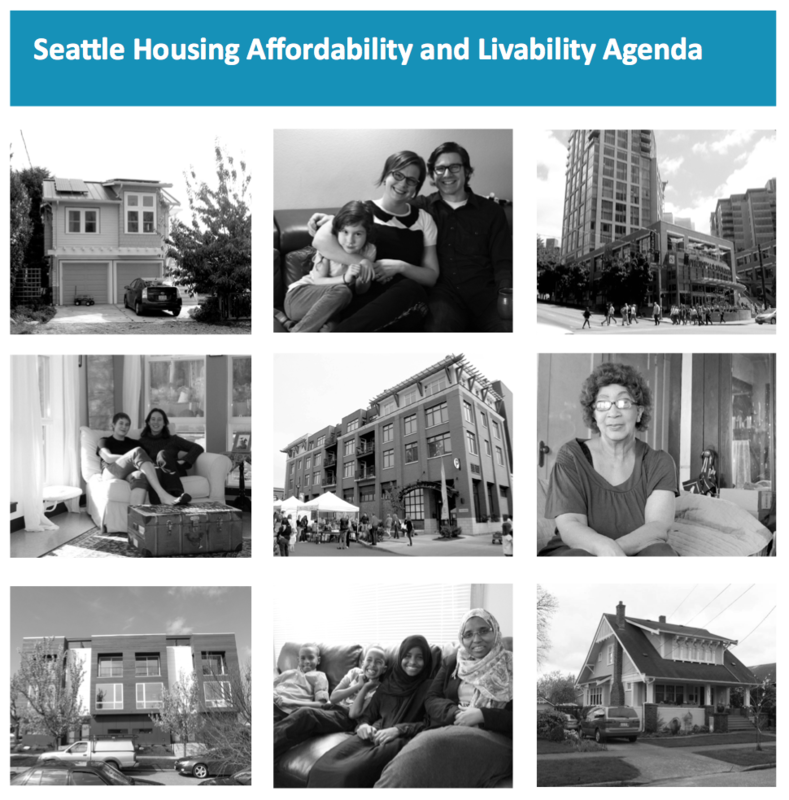 Over the last almost four years Seattle has been engaged in a deep dive into housing affordability, starting with former-Mayor Ed Murray’s appointment of twenty-eight volunteers to the Housing Affordability and Livability Agenda (HALA) Committee in September 2014, charging them to come up with an integrated approach to addressing Seattle’s housing affordability crisis. After the release of the visionary HALA Report I was one of 110 citizens chosen to participate in the HALA Focus Groups. The Focus Groups met for ten months, and provided further semi-public input on one of the major recommendations of the Report, Mandatory Housing Affordability (MHA). In a nutshell, the idea of MHA is to incrementally upzone many of the multifamily areas in Seattle’s Urban Villages as well as a tiny percentage of single-family zoned areas within the ten-minute walkshed of Link stations or frequent buses, and then, in return for the theoretical ability of people building housing to make more money with a slightly larger building, have them either provide a percentage of new affordable units within the new buildings, or contribute to a fund used to build affordable units elsewhere, ideally in the same neighborhood. The City has taken the MHA show on the road in a two-year series of public Open Houses and opportunities for public comment. At this point MHA has already been approved for the U-District and for South Lake Union and downtown. The public is now commenting on the City-wide implementation of MHA, which will cover all of the remaining Urban Villages and Urban Centers in Seattle. Reading through the 368-page MHA Ordinance before Council preparing my public testimony in support of MHA at the District 3 and District 7 meeting last night, I searched for the answer to a question I’ve been asking since the beginning of the MHA process: How will MHA dovetail with green building incentives? I am not thrilled with the answer I found. Let’s take a look. For reference, here is a chart of MHA fees, put together by Sightline Institute from City of Seattle documents. Construction costs per square foot for buildings in low-rise (LR) zones are running about $225/ft2, so MHA fees range from about 3% of the cost of construction for projects in a Low Area with a standard M suffix, to 14% of the cost of construction for projects in a High Area with an M2 suffix. 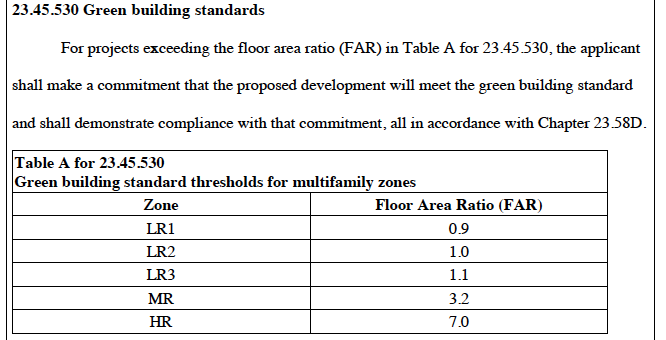 Table A for Section 23.45.510 of the zoning code, shown below with the old FAR limits struck through, and new ones below. 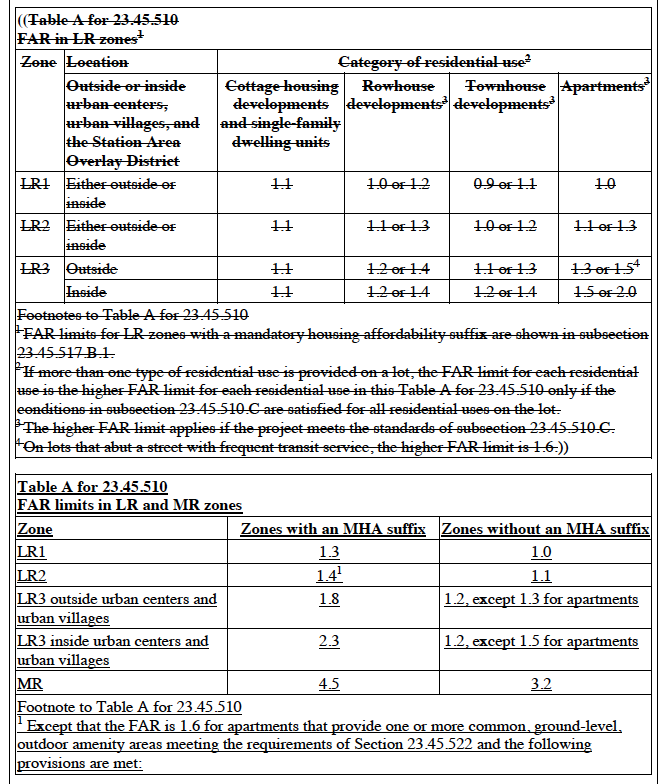 Note that the Floor Area Ratio (FAR) for the zones with an MHA suffix, each zone and type of building is increased from the existing zoning. For example LR1 gets an additional 0.2 FAR, or an additional 2,000 square feet of building for a 10,000 square foot parcel. Other limits come into play though, like the density limits of one unit per 1,350 ft2 of lot area for most building types except apartments, which are one unit for every 800 ft2 of lot area, and setbacks which remain unchanged, such that all of that FAR may not be available for use on a given site. I’ll save discussions about the value of that increment and the relation to the MHA fee charged for another time. It’s kind of like making green building mandatory. Penalties are assessed if the project does not meet the selected certification. This is essentially a reboot of the unsuccessful Deep Green Pilot program I wrote about in 2013, with the penalties (albeit 2% rather than 5%) and without the added incentive of extra floor area and height. (The Deep Green Pilot Program has produced exactly no new deep green buildings since its inception in 2013, during one of the city’s most explosive periods of growth.) Every new multifamily building that wants to take advantage of the additional FAR offered under MHA has to participate in this program. So on the plus side, we could be seeing a lot of new deep green buildings. If that is the result I’ll be very happy. I want MHA to succeed (to make housing more affordable, and to create affordable housing…) and I want Seattle to meet its carbon neutral goals, ideally ahead of the 2050 deadline. Compared to new sprawl, infill development in already-built up urban areas all on its own reduces carbon emissions by about half. This is the reason California Representative Scott Weiner introduced his controversial SB 827, which allows taller buildings near transit as of right, no matter what the current zoning is, overruling local control. 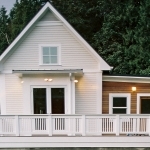 Establish two tiers of green building. The lower tier would include BuiltGreen 4-Star and LEED Gold. Remove the penalty for the lower tier. Establish an upper tier for BuiltGreen Emerald Star, LEED Platinum, Passive House and Living Building Challenge with additional incentives. Express administrative Design Review, skipping Early Design Guidance, along with a limit on public Design Review cycles. Exemption from modulation requirements and the new upper-story setback requirements (which make meeting energy conservation goals more difficult and add expense.) Perhaps this could be in exchange for neighborhood-specific Design Guidelines-approved exterior materials. There is still time for Council to improve the MHA Ordinance. If you are concerned about affordability and carbon emissions reduction, I suggest you contact Council now. 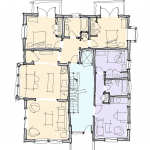 * Summaries of programs from this post on Johnston Architects blog, which jive with my experience also.